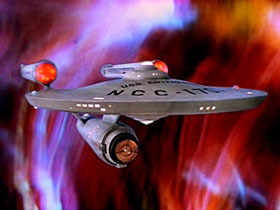 Star Trek debuted on American television in 1966 in the heyday of the Space Race. The world was fascinated by the new possibilities for humanity that this imaginative series promoted. Its mind-expanding message was announced at the start of each episode. Today, there is a cosmic shift happening, a rise in the frequency of all consciousness which is affecting everything in our known universe. In terms of our lifetimes, The Shift to higher consciousness is unfolding in a controlled, almost sedate, manner while, in the grander scheme of cosmic time, it is a transformation that is happening in the mere blink of an eye. A cosmic doorway opened in late 2012 which changed everything. It was an opening up to a new reality of greater possibilities. While, before, the development of heart-centered consciousness had been the peak of spiritual development, suddenly, a whole new vista opened up before our inner vision. It was a vision of a new frontier. A vision of soul-based consciousness, of awareness relating to the throat chakra, and therefore something beyond even a well-developed heart chakra. As the new frontier appeared into view, at first, it seemed almost strange. Gone was the emotional warmth so familiar to those who have developed their heart consciousness. In its place was a realm of higher mental thought, a realm of what seemed, at first, to be an almost placid nothingness. The soul realm which resonates to the throat chakra is one of deep knowingness, of delicate and all-pervasive peace, and a realm of powerful creativity. The arrival of the early pioneers into the soul realm was a little like explorers landing on a new continent with no map and no idea what discoveries lay beyond their initial landing place. Questions arose, at first with no easy answer. What is higher mental thought and how does it differ from regular intellectual thought? What is powerful creativity and how does it differ from the idea that your thoughts create your reality? How is it that at a soul level you seem to be able to find the answer to virtually anything, even though you knew nothing of the subject? Why does the soul realm contain a clear sense of connection to all life and the universe? What does it even mean, to be able to be that well-connected? How are you supposed to operate in such a different environment to the one in which we grew up? These are all questions which arose during the initial investigations into the new frontier of human development, the realm of soul or superconscious awareness. It can even be termed the final frontier because the point of reincarnation – the cycle of physical life, astral life, then soul life to plan yet another adventure into the physical realm – is to gain enough experience to no longer need the cycle of reincarnation. Mastering the realm of soul consciousness while physically incarnate marks the end of the exercise, the end of a world of separation and drama, and a return to our true nature. This entry was posted in Owen K Waters, Spiritual Dynamics, Spiritual Metaphysics on January 4, 2017 by Owen K Waters.